I’m a big fan of most Themes Kingdom themes but Goodz Shop is one of my favourites in terms of design. 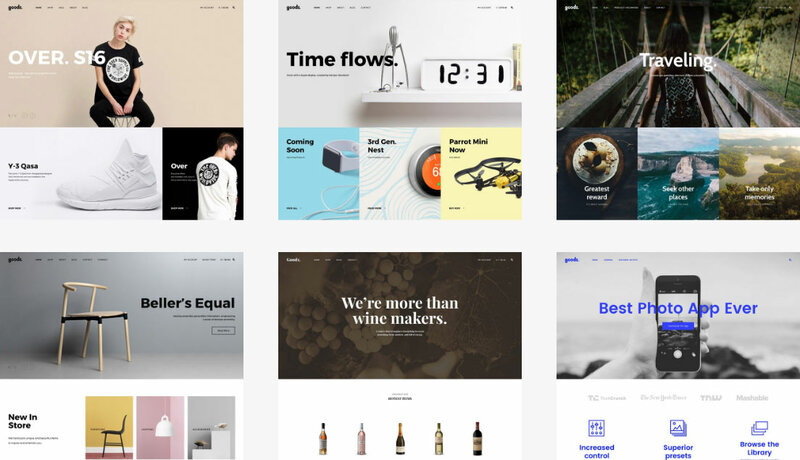 It has the same minimal and elegant approach their other themes have but the grid based layout just looks great. You can see from the demos that this theme works for any kind of shop. The shop page and the individual product pages are both as minimal as you can get. I’d personally like to see a bit more going on in these pages and I feel like there is too much white space and even some confusion due to the minimalism. For example, in the extra information section you find on WooCommerce product pages (description, reviews etc) is found below the product images and summary as usual but its so simple that you cant actually tell the headings for description and reviews are links. It might be better to display this section in more traditional looking tabs to avoid any possible confusion, or to add small icons next to the links. It would also be nice to see how lists of reviews look in the demos. My final gripe with the design is that the footer, although looking clean and elegant has text so faint that it is barely readable. Elegance is great, but not at the expense of the readability of important links. Of course, this is easy to change and only applies to the design of the demo site. You could change this however you wanted. 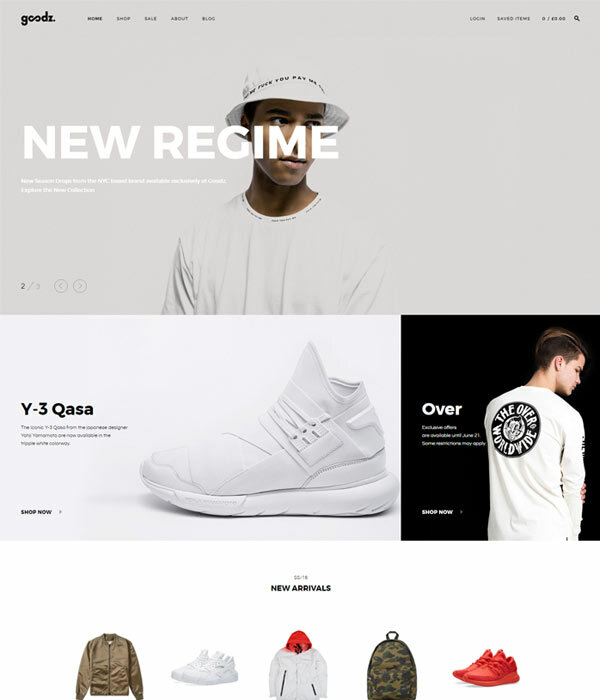 Although I’ve picked up on a few things I’d like to change, Goodz Shop is still one of my favourite eCommerce themes. Have a look at the demos and see what you think. I’m sure you wont be disappointed if you decide to get a copy. Thanks for the review. I agree with your comments but overall I love this theme. I’m torn between this and a couple of other themes I like but your review is making me think this will be the best option for me. No problem Albin. Glad you found it helpful. I don’t think you’ll be disappointed with this theme.